Top 4 Fishing Spots in Calvert County, MD! Got a hankerin’ for some White Perch? Or maybe some Rockfish? Or what about a nice hot plate of Largemouth Bass? 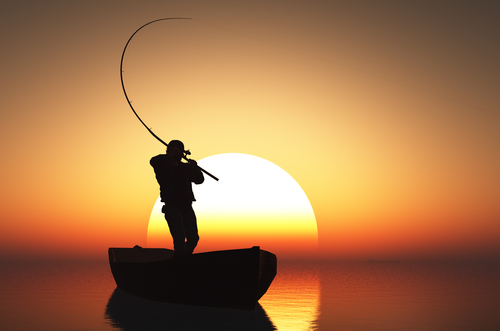 Whatever your taste, Calvert County has got you covered as one of the hottest fishing counties in Maryland! Let’s go over four of the BEST locations to anchor out in Calvert! With a history stretching back to Captain John Smith’s exploration and earlier, King’s Landing Park resides along the shore of the Patuxent River. The property has been acquired by the Maryland Dept. of Natural Resources and is now managed by Calvert County. It was once an active farm and later was a YMCA camp! You can fish all day, or bring your kayak or canoe and enjoy King’s Landing’s access to the river and nearby creeks! Breezy Point Beach offers you not only a good fishing location, but also a netted swimming area, shaded picnic areas, grills, volleyball area, a playground, a long sandy beach, bath houses, and a 300 ft fishing and crabbing pier. Your entire family will have a great time here at the beach. There is something for everyone here at Breezy Point Beach and Campground. The natural beauty of the Chesapeake can be seen at Flag Ponds Nature Park. Visitors will enjoy the wildlife at close range in this quiet locale. Gorgeous wildflowers such as Columbine, Blue Flag Iris, and Rose-Mallow can be seen all along the park from early spring through fall. There are plenty of hiking trails at Flag Ponds for the whole family to enjoy. There is a fishing pier right on the Chesapeake Bay along with a visitor’s center with wildlife displays. A trip to Calvert Cliffs is rich with possibilities! Not only is there good fishing, but there are also fossils to be found along the cliffs! There is a beach and a pond at this location. The one-acre pond is located near the picnic area, close to the playground. Here you can find Largemouth bass, bluegill and also some redear sunfish. Whether you are on the Patuxent side of Calvert County, or the Chesapeake side, your options for fishing spots are immense. Don’t just stop with fishing… Make sure after a long day on the pier you stop off at one of Calvert’s great hometown restaurants for a pound of steamed crab to round off your seafood excursion!